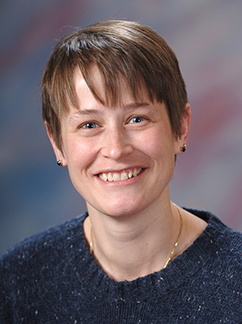 Mary Braaten, MD, is faculty at the University of Minnesota Duluth Family Medicine Residency. She grew up on the South Side of Chicago and attended Northwestern University Medical School. She completed her residency at the West Suburban Family Practice Residency, serving the West Side of Chicago. Braaten first practiced at Family Practice Community Wellness Center, serving an inner-city Latino population. She completed a faculty development fellowship at Cook County Hospital and taught with the St. Elizabeth Family Practice Residency. After 6 years she and her family moved to Northern Minnesota where she joined a rural practice in Deer River, working part-time. After working in Deer River for ten years, Braaten joined the Duluth Family Medicine Residency Program as faculty in 2013 and she continues to do some rural ER work. In her free time, she enjoys time with her husband and four children.